Do you sleep with a fan on just for the noise? Do you have trouble falling asleep, or are you just a light sleeper in general? If so, a Lectrofan Sleep Therapy System might be just what you need. 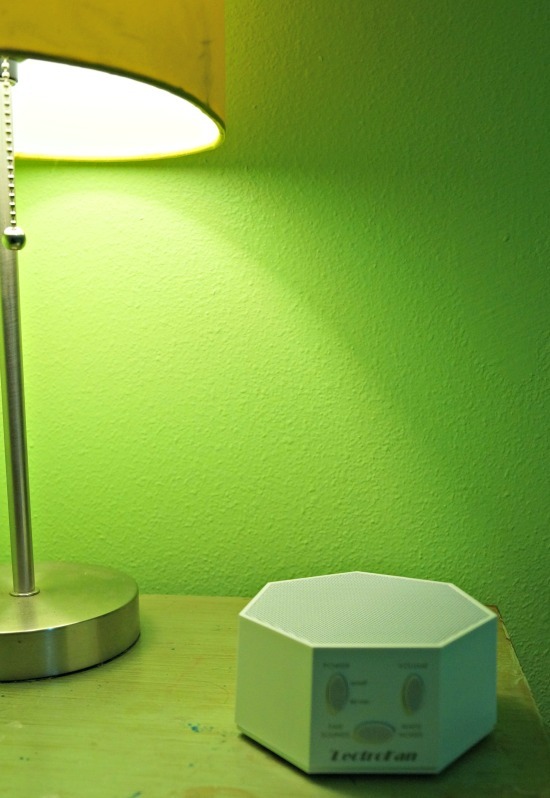 The Lectrofan Sleep Therapy System is a white noise machine. It can be used for sleep, study, relaxation and speech privacy. It features 10 different fan sounds as well as 10 white noises. It also features a volume control as well as a timer. The sounds from Lectrofan are dynamically generated. This means that they never repeat, which means you won’t be disturbed by a looping sound. If you have a new baby who could use some help falling and staying asleep, The soothing sounds of the LectroFan lull babies to sleep and produce a consistent, steady sound to mask noises which might otherwise wake them during naptime or nighttime. The sound of a LectroFan will soon be part of your baby’s sleep routine, so it becomes a portable source of comfort anywhere. My son has been using this one in his room. He is a bit of a light sleeper, and is easily woken up by the sounds of others, so I thought he could really benefit from using this. Plus, he’s been using a fan in his room for this reason. That’s fine in the summer, but not so great when it gets colder. Right away, I could tell that he really liked it. He has been using it every night for bed. In the mornings when I wake him up he has it turned on to one of the fan sounds. 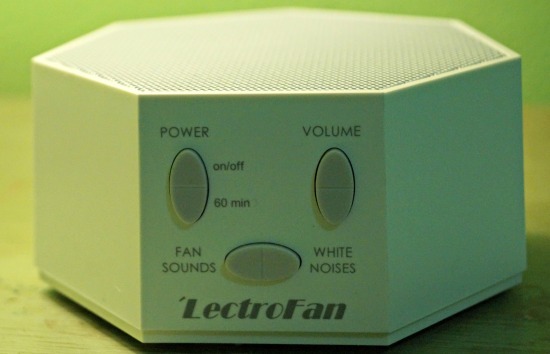 Not only is the Lectrofan great for using for sleep, but you can also use it to cancel out other noises. For instance, if your neighbors or someone in your house is being loud, you can simply turn up the volume to create a disturbance free area. This lightweight unit is so compact that you can bring it with you when you travel. So much easier than trying to bring a fan with you on vacation or business trip! Buy it: The Lectrofan is available in white or black and can be purchased online. Win it: One lucky Sweet Deals 4 Moms reader will win a Lectrofan of your own. Please enter through the Rafflecopter below. It may take 30 seconds or more to load. I would use it for myself. I need to have some noise while I am falling asleep, but I don’t like the sound of the TV or any voice. This is perfect-it is quiet yet enough to soothe me to sleep. I am such a light sleeper. And like you said, the fan is ok in the summer, but…. So, it’d be for ME. We would use it in the master bedroom. We keep our windows open at night so this would help cancel out any traffic noise. I would use this for myself. My apartment is on a busy city street and sometimes the traffic can keep me awake at night. Thank you for the chance to win. I would use this to drown out my lover man-he makes so much noise when he sleeps!